World-famous race track Circuit de Spa-Francorchamps plays host to the 24 Heures 2CV this October – a 24-hour endurance race set to test every competitor’s mettle. Both seasoned professionals and passionate amateur drivers put their motor where their mouth is for an exciting event that, with preparation and passion, is anyone’s race. 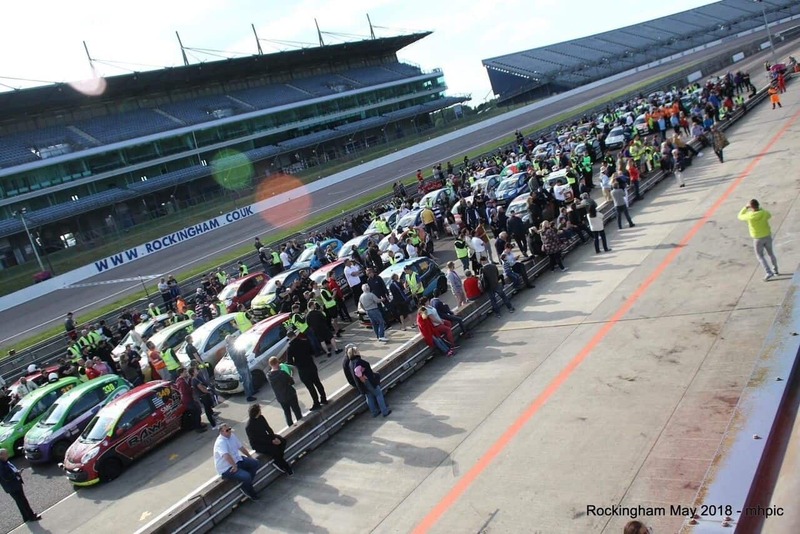 This October, the QuoteSearcher team is returning to the Citroen C1 driving seat to beat their incredible performance at Rockingham Motor Speedway in May. The team were brand new to the world of endurance racing, understanding immediately the huge challenges that competitors face. Racing against high level competitors and former champions, holding their own led the team to reach second place after just two hours on the track and 7th place overall, demonstrating that even the underdogs can be successful in spite of a lack of experience. 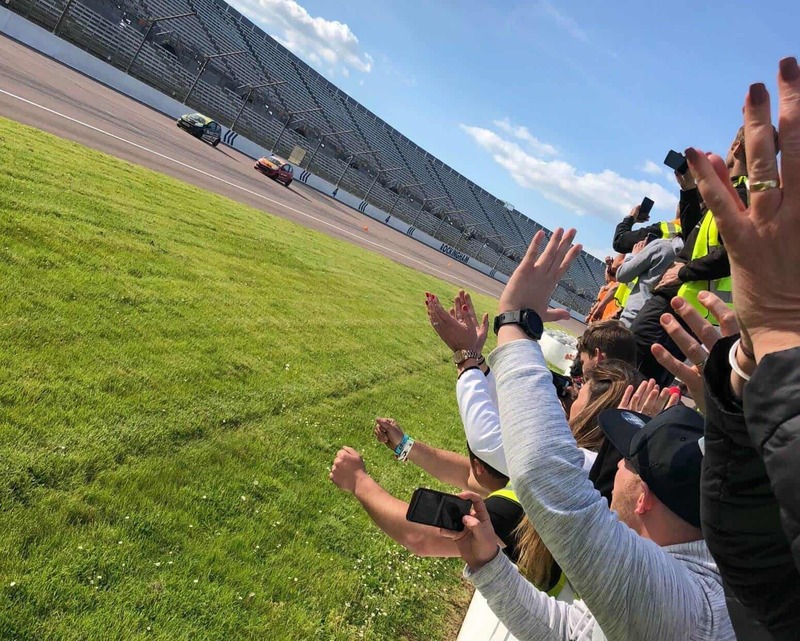 The team that took on May’s 24-hour race at Rockingham consisted of some seriously passionate drivers with a rich history in motor racing. Kevin Taylor, former Renault 5TS, VW Polo G40 and Mazda MX5 driver has involved in motorsport on and off since 1992 and. Jim Edwards Jr. was Renault 5 GT Turbo Champion in 1990, Renault Clio Cup Champion in 2000, and BTCC Production Class Race Winner. 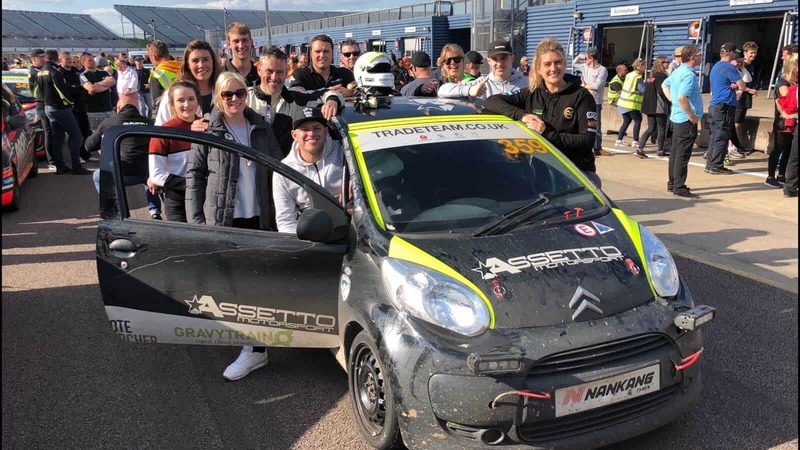 Proving the passions run in the family, completing the team of four drivers was Jim’s daughter Jade, current Renault Clio Cup driver, former Mazda MX5 race and Ginetta driver. Jade has been involved in motorsport for years, supporting her dad trackside from a very early age. Jim’s lifelong passion was passed along to his daughter who is now a mainstay in motorsport. Alongside them, Jim’s son-in-law Simon Traves, who runs Assetto Motorsport with him, completed the team. Not only is Simon an engineer and mechanic, he has also competed himself. With two mechanics, two refuelers and people on hand to cater, both close and extended members of these two families came together to enjoy a heart-stopping event. One of the most exciting parts of this underdog story is the team’s performance. Although they had extensive experience of motorsport, Rockingham was their first foray into endurance racing. The intensity and complexity of endurance racing meant the team needed to come to the event with an entirely new approach. The skill of the driver was not the only element at play; fuel strategy, tyre and brake wear, among other elements, can make the difference between winning and losing. Taking part counts, of course, but succeeding and finishing in a respectable place was the real aim. Initially, the thought of finishing in 7th place was something of a pipe dream, so the team exceeded their own expectations tenfold. The QuoteSearcher team qualified 34th out of 54 cars, which they felt was slightly disappointing – but with a car built solely for the race, that had never been on a circuit before was something of an achievement. The wet conditions proved to separate the men from the boys, with the team moving into second place within just two hours of the race start. The rain made a real difference to Kevin, Jim, Simon and Jade as, with a limited set up time, it was more about the drivers and less about the setup of the car itself. With a poor performing car, a lack of experience, and several issues that cropped up on the day, the odds were very certainly stacked against the QuoteSearcher team. However, with top quality driving, a solid strategy, and a supporting team of two mechanics and two refuelers, the team spent much of the race just outside a podium finish, getting as high as 2nd. They ended up in 7th place, an enormous success considering the roadblocks that threatened their success early on. QuoteSearcher even managed to beat triple World Touring Car Champion Any Priaulx, who also finished 4th in 2018’s Le Man 24 Hours – a pretty amazing result! What’s Pushing the Team for 24 Heures 2CV? It’s not just the underdogs sitting behind the wheel. Having learned a great deal from Rockingham, and their secret weapon James Foster, the team hope to better their position in Belgium. James, a Project Cars player, is their fuel strategist again this time. Passionate gamer James has created a fuel strategy fit for the 24 Heures 2CV race that started life in the digital realm. Project Cars is a virtual racing simulator game from Slightly Mad Studios that allows players to become part of the race, combining detailed real-world elements to bring players as close to the real thing as possible. From weather conditions, to height above sea level, to the angle of the sun, nothing is left to chance. James’ virtual fuel strategy was so good, it could be replicated in a real-world race, giving him an opportunity to turn his gaming passion into something tangible. On discovering James, Kevin says, “We recognised very early on that fuel strategy would be a key factor in such a long race, having the right strategy could be the difference between finishing on the podium and somewhere in the middle of the pack. Finding James was a huge bonus, we started off trying to build our own spreadsheet to calculate the fuel stops but kept running into trouble.